This July 29 file booking photo made available by the Boone County Jail in Burlington, Ky., shows Christopher Lee Cornell of Green Township in suburban Cincinnati. Federal authorities say Cornell, who plotted to attack the U.S. Capitol during President Barack Obama’s 2015 State of the Union address, kept trying from behind bars to incite others to violence in support of the Islamic State. Prosecutors describe Cornell’s “post-arrest conduct and misconduct” as unusual in a sentencing memorandum filed ahead of a Dec. 5 sentencing hearing. They want a judge to sentence him to 30 years in prison after he pleaded guilty earlier in 2016 to three charges. 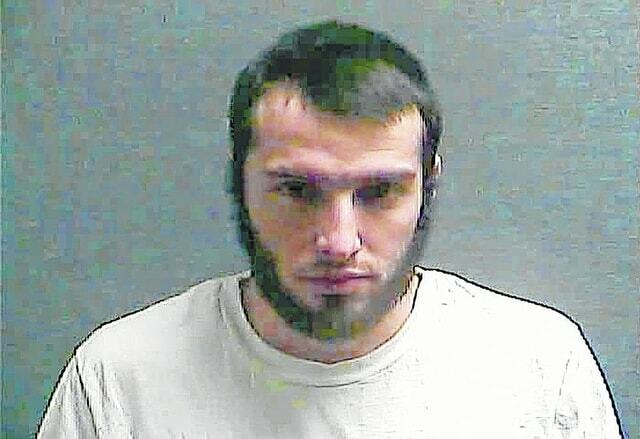 CINCINNATI (AP) — An Ohio man who plotted to attack the U.S. Capitol during President Barack Obama’s 2015 State of the Union address kept trying from behind bars to urge others to violence in support of the Islamic State group, federal authorities say. Prosecutors described 22-year-old Christopher Lee Cornell’s jail activities in a sentencing memorandum filed this week ahead of a Dec. 5 sentencing hearing. They want a judge to sentence him to 30 years in prison after he pleaded guilty earlier this year to three charges. Cornell’s attorneys plan to state their recommendations on sentencing next week to U.S. District Judge Sandra Beckwith. “The entire issue is much more complex than what is noted in the government memo,” attorney Martin Pinales said. The defense Wednesday filed a mental health report for Cornell under seal, and stated they plan to have psychologist Scott Bresler, who has met repeatedly with Cornell, testify at the sentencing hearing. His attorneys filed a motion last year saying there was “reasonable cause to believe” Cornell was mentally incompetent. However, Beckwith ruled in April he was competent for trial after hearing testimony. The FBI arrested Cornell on Jan. 14, 2015, in a gun shop parking lot in suburban Cincinnati, saying he had just bought two M-15 semi-automatic rifles and 600 rounds of ammunition. He was arrested less than a week before Obama’s scheduled address in Washington; federal authorities say Cornell wanted to shoot the president, members of Congress and others at the speech. They said he also was “fixated” on learning the true identity of a confidential informant and had numerous discussions with his father about him. After his arrest, his father, John Cornell, had said his son was misled and coerced by “a snitch.” Cornell’s attorneys have said they will highlight the role of a government confidential informant at the sentencing hearing. Federal investigators said Cornell made an internet post after his arrest in which he identified the man he believed he was the informant and gave personal details about him. U.S. authorities have expressed deep concern over Islamic State militant efforts to recruit homegrown terrorists. A federal judge Wednesday sentenced another suburban Cincinnati man, Munir Abdulkader, 22, of West Chester Township, to 20 years in prison for an alleged plot involving a planned beheading of a military veteran followed by an attack on a police department in support of the Islamic State group. He was arrested four months after Cornell and pleaded guilty to three charges last March. Pinales was in the courtroom to watch the Abdulkader sentencing. Cornell pleaded guilty Aug. 1 to attempted murder of U.S. officials and employees, offering material support to a foreign terrorist organization, and to a firearms-related charge. Follow Dan Sewell at http://www.twitter.com/dansewell. For some of his other recent stories: http://bigstory.ap.org/content/dan-sewell.